Do you understand the legal and financial considerations involved with buying or selling a home using a Land Contract? Then do-it-yourself legal document software is the most affordable way to create the agreements you need. 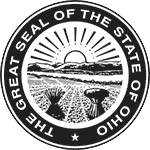 Remember, properly and fairly creating the legal documents needed to begin an Ohio Land Contract is just one part of the process. There are several other functions that must be handled to successfully complete any Land Contract transaction: monthly payment processing; financial accounting and reporting; oversight of payments for property taxes, insurance and any existing mortgage; collection follow-up should any payment be late from either party; creating a revised Deed in the new owner’s name and providing it at the proper time in the contract process; proper communications and instructions for each step. NOT SURE YOU WANT TO ‘DO-IT-YOURSELF’? If you prefer a solution that provides fully-prepared professional legal documents specific to your personal and real estate situation (documents that give fair and equal consideration to both parties! ), plus offers financial oversight for the entire term of the contract and includes the creation of a new Deed document at closing, see the services provided by RealtyPact ™.